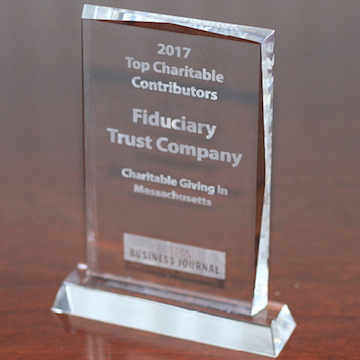 Fiduciary Trust is honored to be named a 2017 Top Corporate Charitable Contributor in Massachusetts by the Boston Business Journal. The firm has earned this award for the past five years. Read more about the recognition on the BBJ’s site here.